Inspired by the warm pinks of an Amalfi Coast tequila sunrise, this gorgeous fabric is a beautiful way to introduce signature stripes into any interior space. A diverse textile that can adapt to any style - classic, nautical, shabby chic, or ultra luxe - making it a fabulous addition to your next interior renovation project. 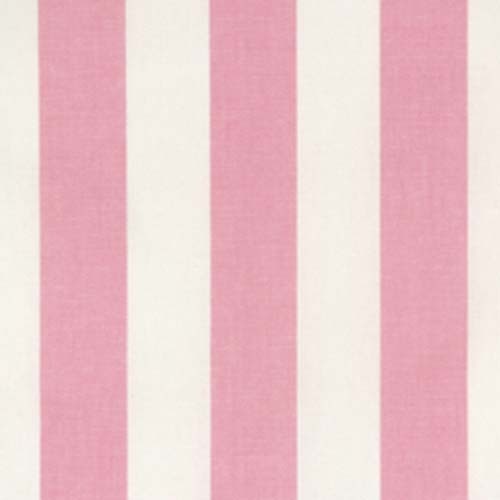 Baby pink and white striped home decorating fabric. Suitable for drapery, decorative pillow covers, headboards, crafting or light upholstery.